Home Health vs Home Care- What is the Difference? If you are helping to provide senior care for an aging loved one and are exploring your options, chances are you may run into a number of new terms regarding senior in home care. Most families are completely new to the idea of in home care when they first start exploring these options and tend to have a number of questions about what each type of care means. This includes determining the difference between home health care and home care. These are two terms that are often confused and even used interchangeably, but they are actually quite different. In order to determine what type of care your senior loved one needs, it is important that you understand the differences in these services. First, there is home health care. This is a type of medical in home care that is provided by a registered nurse, physical therapist, occupational therapist or another similar type of medical professional. Typically, seniors will begin in home health care after a hospitalization, while they are on the road to recovery. These services may also be used after a senior spends time at a skilled nursing facility while they are working on transitioning back to life as normal. Other seniors may start using these services when they are starting to experience an overall decline in their ability to function and need professional medical assistance or therapy to help compensate for this decline. This type of care is typically covered by insurance, particularly when it is prescribed by a physician. 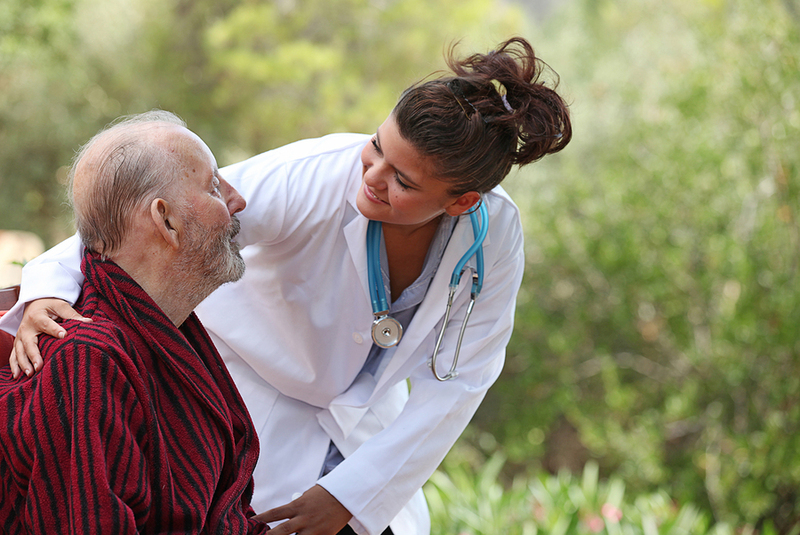 Home care, on the other hand, is provided by caregivers or home care aides. Many professional caregivers have training, or they may be family members or loved ones. However, they typically do not have any medical background or training. This may also be called “non-clinical” home care. These professionals are there to provide assistance with day-to-day life or companionship. Their services are typically not covered by insurance, but there are some exceptions. Standard home care is great for seniors who do not drive, who live alone or who need assistance to safely live at home. Many people can be caregivers and while they don’t need professional medical experience, it doesn’t mean that some medical training can’t come in handy. When you think about your senior loved one and their situation, including the type of care that they may need, you will want to consider these two types of in home care. If you try to determine whether or not the help your loved one needs may require medical expertise, you can typically determine which type of care will be best for your loved one during this next phase of their lives.